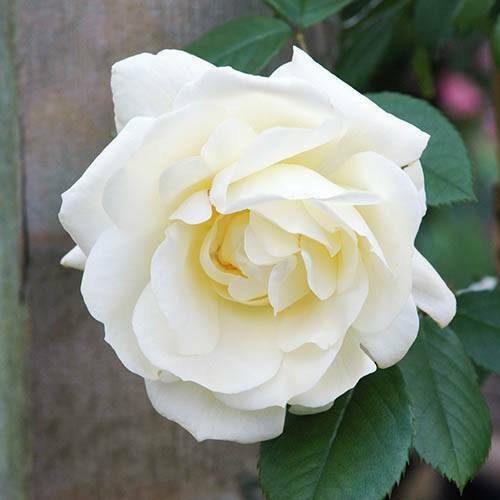 A premium cream-coloured, scented climbing rose. Flowers for 6 months every year. Compact habit - great for pots on the patio. Supplied as a freshly potted, professional quality well-branched rose bush in a 3L pot. Gorgeous semi-double blooms in a creamy lemon shade adorn this stunning compact rose from May right through to October every year while its delicate fragrance is a joy for the senses. Notre Dame de Calais is a small bushy climber, that will grow with strength and vigour in most gardens - along the back of borders or even in a large container.